Rebecca Smeyne - D.I.Y. or Die. Rebecca Smeyne has, over the last few years, become the pre-eminent photographer of the NYC underground live music scene. Her pictures, regularly featured in the Village Voice's print and online versions, have given valuable exposure to many acts. 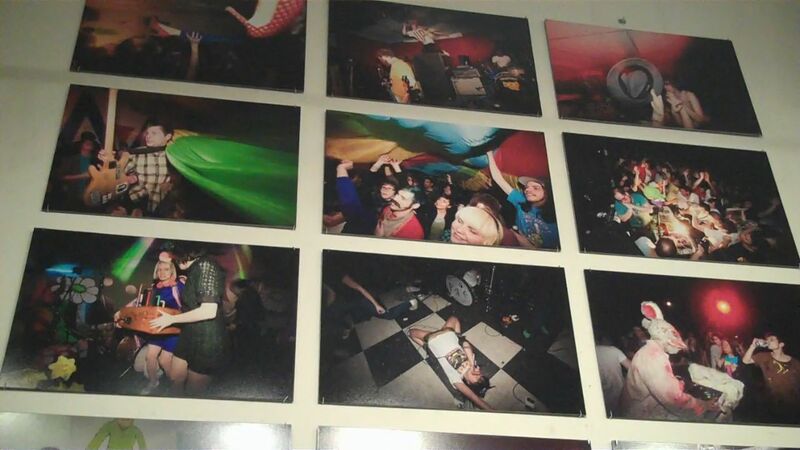 Bands portrayed in this exhibit, a small installation at the Other Music record store, include features the bands These Are Powers, Dark Meat, Pre, Blowfly, DMBQ, Screaming Females, Miss Pussycat, White Mice, Spank Rock, Dan Deacon, Juiceboxxx, the Mae Shi and the Death Set. This is a brief look at the opening, delayed a week by snowstorms. I haven't been able to determine any closing date on the exhibit. A slideshow of the photos can also be seen here.